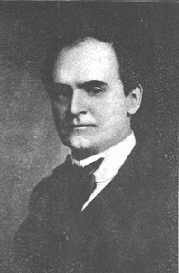 William Walker Atkinson was an attorney, merchant, publisher, and author, as well as an occultist and a very important and influential figure in the early days of the New Thought movement. Due in part to Atkinson's extensive use of psuedonyms and his intense personal secrecy, he became somewhat obscure over time, despite having written more than 100 books in the last 30 years of life. Little is known about William's early years except that he was born in Baltimore, Maryland to William and Emma Atkinson. As a teenager he worked as a grocer for his father. In 1889 he married Margret Foster Black and they had two children, one which died very young. In 1882, Atkinson pursued a business career and would go on to became a succesful lawyer. But over time, the stress of the business eventually took its toll, and during this time he experienced a complete mental and physical breakdown, as well as extreme financial setbacks. He began searching for ways to heal his own condition, and in the late 1880's he first discovered the concept of New Thought which would lead to his recovery. In later years, Atkinson attributed the restoration of his mental and physical health, and his subsequent material prosperity, to the application of the New Thought principles. Some time after his healing, Atkinson began to write about the New Thought truths he had discovered in the process, which were then known as Mental Science . In the early 1890, Atkinson moved to Chicago, which at the time had become a major centre for New Thought, mainly through the work of Emma Curtis Hopkins. He would go on to become an ative promoter of the movement as an editor and author. He published the magazines 'Suggestion' (1900-1901) and 'Advanced Thought' (1906-1916). At this time, he also teamed up with Sydney Flower, a well-known New Thought publisher, and in 1901 assumed editorship of Flower's popular New Thought magazine until 1905. During these years he gathered a large following in the New Thought movement and eventually founded his own Psychic club and the so-called "Atkinson School of Mental Science". Atkinson also had an interset in Hinduism and in the 1900's devoted a great deal of effort to the diffusion of yoga and Oriental Occultism in the west; he would also write about subjects such as mediumship, divination, and personal success. His many books achieved wide circulation among bioth New Thought devotees and occult practitioners. The hight point of his career was in the late 1910's; in addition to writing and publishing a steady stream of books and pamphlets, he started writing articles for Elizabeth Towne's New Thought magazine, Natuilus. Around this time, he was also given the role of the honorary president of the International New Thought Alliance. William Walker Atkinson was well known to author many of his works under the use of pseudonymns, or anonymous pen names. He is known to be the author of the pseudonymous works attributed to the names: Theron Q. Dumont, Swami Panchadasi, Yogi Ramacharaka, Magus Incognito, Theodore Sheldon, Swami Bhakta Vishita, and probably other names not identified at present. It is also popularly believed that William Walker Atkinson was one (if not all) of the 'Three Initiates' who anonymously authored The Kybalion, which certainly resembled Atkinson's other writings in both style and subject matter. Atkinson also wrote a 6-volume series named The The Arcane Teachings , without signature. Other anonymous works which were verified to have been authored by Atkinson include: Arcane Formula, or Mental Alchemy; The Cosmic Laws; and Vril, or, Vital Magnetism. After 50 years of simultaneously successful careers in business, writing and publishing, occultism, law, and his work within the New Thought Movement, Atkinson passed away November 22, 1932 in Los Angeles, California at the age of 69. Many mysteries still surround William Walker Atkinson's life, including the fact that a certificate of copyright issued three years after his death is said to have been signed by the author himself.